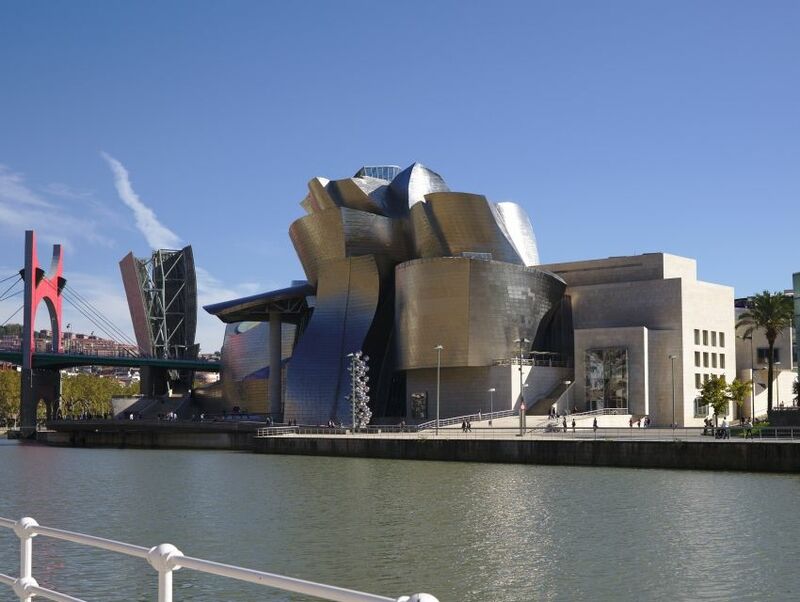 Museo Guggenheim Bilbao's first exhibit included a collection of over 250 examples of cubist, futurist, constructivist and other 20th-century art movements. The museum features a permanent collection of late 20th-century art spotlighting more of the century's best creative talents including young Basque and Spanish artists. Famous works include those by renowned artists like Richard Serra, Willem de Kooning, and Clyfford Still. Frank O. Gehry designed this complex with spectacular curtains of glass, stone curves, titanium and glass walls, walkways hanging from the ceiling, transparent elevators and immense open spaces that offer a mesmerizing foil for the avant-garde art it houses.